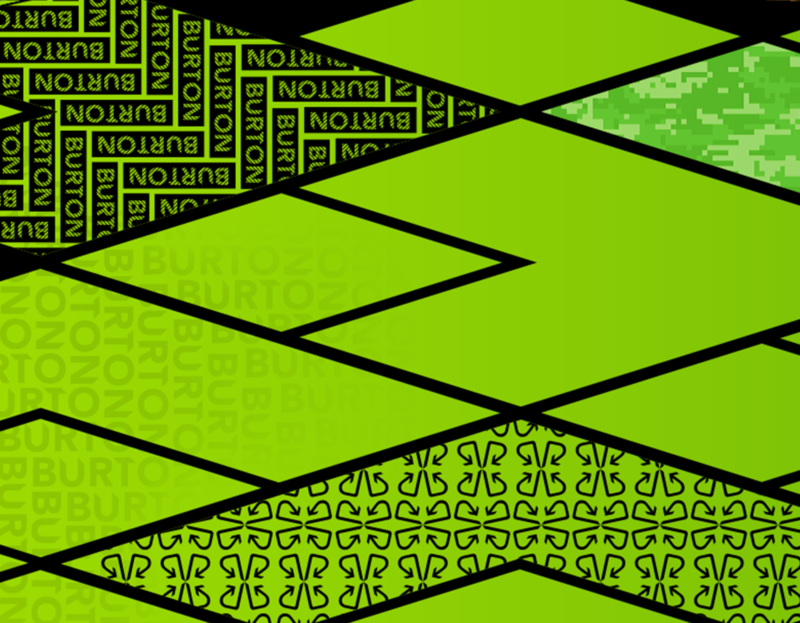 Burton Snowboards have been around since 1977. The brand is on the cutting edge of winter gear, and is widely considered one of the best in the industry. For this segment I tackled three individual projects in relation to Burton snowboard operations. First off, a simple logo redesign concept keeps the original heritage, but brings it into the 21st century with a new contemporary look. Next, a series of three snowboard proposals, designed specifically for professional Burton Pro Riders. Last, a Burton Snowboard app concept, which helps users to get the most out of their day on the slopes. pro-riders - Jussi Oksanen, Jeremy Jones and Kimmy Fasani. Each rider gave a short design brief, which were open to interpretation and allowed the designers to select their medium of choice. My favorite program to work in is Adobe Illustrator, so I used that to create all of the layouts and typography. I then used Adobe Photoshop to apply the finishing touches. I’m liking retro tourism posters, or high-contrast photos, and original patterns with bold logos and lettering. No kid's drawings, naked chicks, or alcohol bottles. I¹m looking for old school oil cans, garage sign art with hand painted lettering, random things that don't go together. I'd like something a little spicy and not girly graphic that breaks the mold for what's normally seen on women's products. I begin each project by identifying the customer and defining the problem. What do they want to accomplish and what is the end goal? Creating lists allows me to sort through ideas and sketches - wire frames bring me closer to selecting a design direction. I benchmarked many apps in the App Store, such as The Coachella and REI apps. I wanted to reference what already existed and fill in the gaps. I noticed right away that there was a lack of community - something young tech users desire. After answering a few quick questions, the app would re-skin to match your Burton snowboard. I asked a few rider-friends to go through some simple tasks using the preliminary interface. Watching them easily complete certain tasks, and struggle with others, was really eye-opening. This made me reevaluate certain features. After my user testing, I distilled down my ideas to make the app flow easier. I then brought my designs into Adobe Illustrator and Photoshop to create the visual assets. The whole project was a huge learning experience and so much fun to work on! I especially loved iterating on designs and testing those new designs on users. The project had many challenges, but the most difficult piece was taking a step back and looking at the design from an outsiders prospective. I am proud of the final design and I believe that it is a fresh approach to an app that makes a fairly simple concept feel extremely personal.